Less reliant on TV advertising than ever, brands need to find ways to spend less and create ideas that generate high cultural capital and viral buzz that will net high rates of media impressions. While this sounds like wishful thinking, in truth there are five core fundamentals to guaranteeing success. Our media landscape is evolving fast, and 2012 will certainly be the year of big changes in how we view media. Internet-based TV viewing will come of age, reaching the masses through the growing number of smart TVs and mobile streaming. For brands that have until now relied heavily on TV advertising, this places an increased urgency to find ways to maintain visibility of their messages in culture–ways that can be measured, are efficient, and reach big audiences. Crucially, brands need to find ways to spend less and create ideas that generate high cultural capital and viral buzz that will net high rates of media impressions. While creating publicity and buzz often sounds like a wishful outcome to many marketers, in truth there are five core fundamentals to guaranteeing success. By bringing together interesting or unlikely connections (often between stars), brands will often see an increased buzz surrounding the pairing. 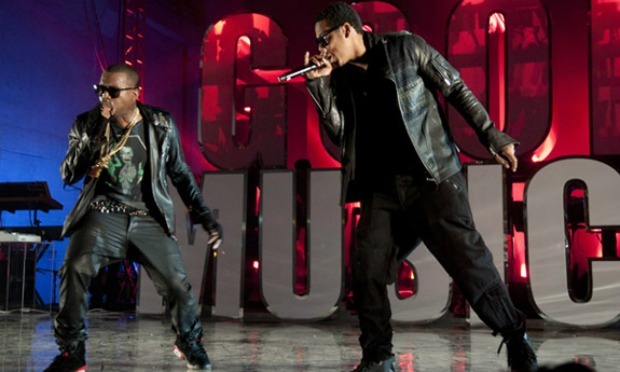 Musicians have long known the value of collaboration, and as Jay-Z and Kanye West proved with their platinum CD “Watch the Throne” earlier this fall, collaborations don’t just deliver on creativity, but on capital as well. But collaborating isn’t just for musicians. One needs to look no further than Ben & Jerry’s for an example of a brand that understands the value of a well-thought-out mashup. From its “Late Night Snack” ice cream featuring comic Jimmy Fallon to its more recent “Schweddy Balls,” which gave a nod to SNL’s popular Alec Baldwin parody of NPR, the brand isn’t afraid to take risks in its flavor partnerships. A strong, relevant active agenda and point of view often gathers the support of people, whether it’s philanthropic or politically driven. Nike’s campaign for its Back For The Future Mags, which were auctioned on eBay, raised more than $11.3 million for the Michael J. Fox Foundation. Furthermore, personalities including Brian Wilson of the San Francisco Giants, Kanye West, and Tinie Tempah were all seen wearing the kicks. And although not a brand, the Occupy Wall Street movement is the latest example of the power in rallying individuals around a socioeconomic cause. Even Sean Parker, the Napster founder and backer of Spotify, who is among the 1 percent of the population backers are protesting, tweets his affinity for the cause. Unexpected events, which dramatically interrupt our sense of context, also drive heavyweight attention and buzz. Anytime an environment, be it urban, personal, retail or otherwise is effected from what we expect it to be, it challenges our perception and draws our attention as we seek to understand the disruption. Target knew this when it launched its highly anticipated Missoni for Target collection. The brand created Marina, a 25-foot Missoni-clad fashion blogger that not only was the face of the bloggers pretending to be her on its social properties, but which also made pop-up appearances from Times Square to a Fashion Week blogger conference. Ideas that force an opinion, divide opinions, and drive debate will receive a fair share of buzz. Often the conversational buzz is a reaction of strong opinions and expressing the sentiment of the topic–be it humor, anger, sympathy, or any other potent emotion. Likewise, conversational topics become imitated and morphed to increase the entertainment value of the reaction, which we’ve seen recently in the popularity of memes. From “Winning” with Charlie Sheen to planking to now “Tebowing,” ideas that can spark the masses to mimic and interpret an idea in their own way are growing, especially because of the ease of sharing content through social media. Unclaimed, leaked, often risky ideas that push boundaries allow brands to fly stealth, if only for a while. Ideas that feel like they’re pushing the limits of what should be allowed (or at least by the person or brand featured) often spread in popularity. Working earlier this year for Diet Pepsi’s advertising agency, we shot an outtake from the brand’s new TV commercial. It shows David Beckham casually achieving seemingly impossible place kicks with a soccer ball into trash cans on Santa Monica beach. The clip, posted to YouTube, recorded more than 4 million views and spawned a slew of meme uploads from consumers, while also generating a frenzy of media interest and social media discussion over the legitimacy of the incredible shots. Certainly it can help fuel your brand’s buzz if you can afford an A-List celeb, but generally the most-buzzed-about brands have achieved their cultural capital by embracing these five behaviors and consistently finding innovative ways to generate new stories, which can translate buzz into real momentum and performance for the brand.